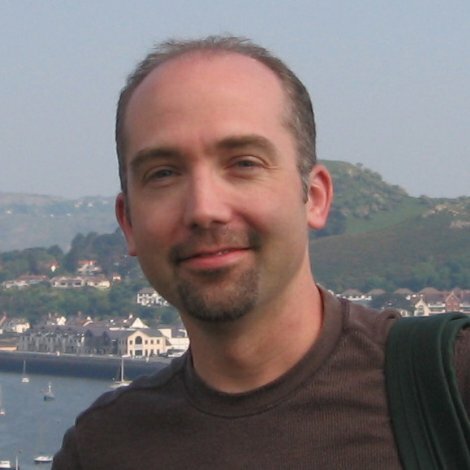 So way back in 2002, after I’d finished the “final” draft of my very first book (a sci-fi novel titled A Shadow in the Flames), I began the process of trying to get the attention of literary agents in order to get it published. My plan: write some short stories, get those published in a magazine or two, and have something to tout in a query letter. I had fun writing it, so I did a couple more with that concept over the next few years. There was a quick tale about Hermes and a little girl ditched by her brothers in the woods (“Snipe Hunt”) and a macabre, longer one wherein a man finds a hole in his basement that leads to Hades (“The Atheist and the Ferryman”). But hey, what happened to A Shadow in the Flames? My first novel, it wasn’t yet up to snuff. But there was revising. I got it in front of an agent or two who were interested enough to take a closer look at it, but then passed (but not without, I’m thankful to say, some helpful tips to improve it). I then got the opportunity to workshop it (along with 11 other authors and their work) with Terry Brooks at a Pacific Northwest Writers’ Association conference, after which there was further revising. Yet even with all the revising, by the time I’d finished writing the sequel to ASITF (titled A Memory in the Black), no agents were biting. I self-published ASITF one in 2007 in paperback (this was before ebooks were viable) via print-on-demand—primarily to get it out in the world enough to where I felt I could move on—slid A Memory in the Black in the drawer (what publisher wants to pick up a sequel to a self-published book that didn’t sell much?) and decided to write something that would stand on its own. I yearned to switch over to fantasy for a while. I also knew I wanted to write something funny. After much brainstorming (and caffeine), I seized upon the idea to revisit that whole “gods-in-the-modern-world” thing and set about creating a new, epic modern myth using the myriad of awesome-yet-flawed characters of the Greek mythological pantheon. I cut my teeth on Greek mythology as a kid. I can still remember the cover of the book my parents got me: Arion kidnapped by pirates and playing his lyre so beautifully that Apollo sends some dolphins to save him. I took a couple of Classics courses in college. I added to that further with new research to inspire me, to get a better handle on some characters, and to look for mythology tropes to turn on their ear. 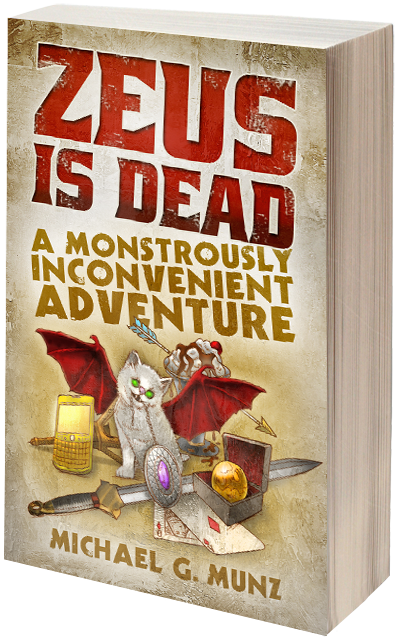 Soon I was writing at full steam on what would become Zeus Is Dead: A Monstrously Inconvenient Adventure. Writing the book was a blast, and with two other novels under my belt, my craft had finally developed to the point where I was unabashedly proud of it. Andrea Howe of Blue Falcon Editing (who currently edits for bestselling fantasy author Brian Rathbone, among others) helped me polish the manuscript before I began to submit it. The primary challenge was the manuscript’s length: 150,000 words. That’s not long for your average adult fantasy novel, but it is about 50,000 words more than most publishers are comfortable with for an unknown author’s first novel. Pages cost money, after all. While ebooks are starting to change this, such a length is still a hurdle for finding an agent who’s willing to try to sell it to those publishers. I therefore pitched it as a duology, and the novel’s premise garnered more interest from agents/publishers than I’d received on anything prior. Not only was I getting requests for partials (i.e. “send me the first three chapters”), two agents even requested the full manuscript. Yet each time, as my hopes rose, things ended in rejection. At the 2012 PNWA Writers Conference I heard Katherine Fye Sears (chief marketing officer at Booktrope) speak on a panel about how the publishing industry was changing. She also mentioned Booktrope’s vision on how publishers can be successful. (It’s a vision that’s gotten Booktrope written up in Forbes, in fact.) Booktrope was closed to submissions at the time, but I kept an eye on their website. It was nearly a year until I saw that they were open again—they might have opened at some point before then, but I wasn’t checking constantly. So of course I submitted. I’d planned for it to be my last attempt to get a publisher for ZID. I believed in this book, and if I couldn’t get any publishers to believe in it, too, then by god(s) I was going to get it out there myself and let the readers decide. I preferred to do so with a publisher’s seal of approval backing up my credibility, but if not, I’d go it alone. A short while after I submitted my query, I heard back: They wanted to see the full manuscript. It took about six months for Booktrope (and their beta-readers) to review it. Then one January morning, at home sick with a monster cold, I got an email. They wanted to publish it. Externally, my virus-riddled body could only manage a frog-throated, “Yaaaay…” but inside I was bouncing off the walls. And now, six months later, I can show it to you all. Thanks so much for hosting the Zeus Is Dead tour! It’s exciting to be here! It’s a pleasure to have you here. Michael. Hope the launch goes gangbusters! I recently purchased this book and have been reading it. I’m only a few chapters in, but I’m really liking it so far. Michael’s writing is incredibly witty and there have already been several laugh-out-loud moments. I highly recommend giving it a read. You won’t be disappointed. That’s great, Trish! Word of mouth recommendations are probably the best PR an author can get, so thanks for chiming in. Speaking of which, thanks so much for hosting me here, Karen!! Pingback: Zeus Is Dead Blog Tour!